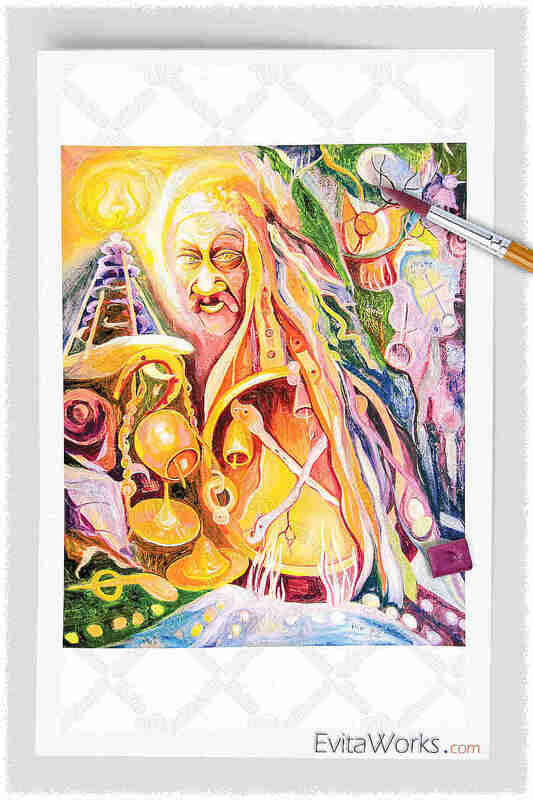 This item is based on our original painting, named “Shaman”. I missed this somehow before. Very nice work Eva. I love the color’s that you have used here and the way the imagery flows around the works is very well done!